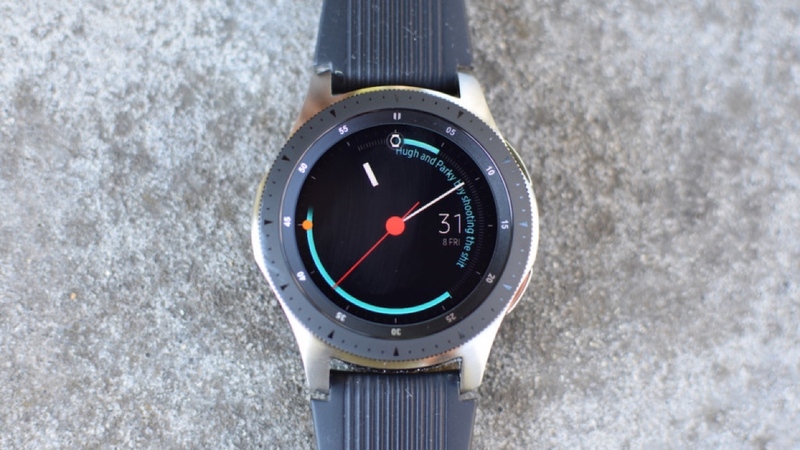 The Samsung Galaxy Watch may have only launched back in August, but we could already have our first look at a nifty feature of its successor. That's after a patent filing, uncovered by Patently Mobile, shows that the Korean company is exploring the possibility of an in-screen fingerprint scanner to help unlock a future smartwatch - potentially, the Galaxy Watch 2 (or whatever it ends up being called). Currently, if you want to open up a device with a security wall on a Samsung smartwatch, you're required to enter a four-digit pin code. And with most top-tier smartwatches now harnessing the ability to pay from the wrist, having some kind of passcode is essential. With a potential fingerprint scanner, though, the chance of a lost or stolen watch being compromised could be greatly reduced. The same is true, of course, for smartphones, and the in-screen technology is something Samsung is also exploring for the next generation of its Galaxy devices. It's not just security at play here, either, with a fingerprint scanner naturally offering much cleaner usability. However, while the patent outlines the basics of such a feature, it doesn't go into too much detail. That means we don't really know how successful it would be, say, when smudges and prints are already present on the watch screen. This presumes the feature even makes it onto a future Samsung watch, too. As we know, it's important to remember that all the technology featured in patents face an uphill battle in making it to the light of a production line. Will Samsung pursue this one? Only time will tell, but it's the kind of innovation that would certainly help it in the running with the Apple Watch and other rivals. Stay tuned as the months roll on, as we expect to see plenty more potential Galaxy Watch 2 features surface.